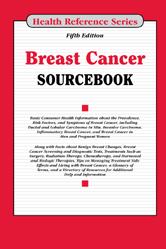 Provides basic consumer health information on risk factors, prevention, symptoms, diagnosis, and treatment of various types of breast cancer, along with facts about coping during and after treatment. Includes glossary of related terms and directory of resources. Chapter 37—How to Find a Doctor or Treatment Facility If You Have Cancer? Section 43.1—What Is Hormone Therapy? Section 73.1-What Are Clinical Trials?